Here's a spreadsheet I made where we can share numbered Imbel components. I started this over in the Entreprise Imbel kit thread, and I figure it should have its own thread. If you see something of interest on the list, you can contact the FALfiler via PM to work out a trade/sale or whatever. The spreadsheet is open for public viewing and commenting. If you have items/serial numbers that you want added to the list, please comment in this thread or shoot me a PM, and I will add them. Last edited by desert fox; November 24, 2016 at 13:26. I assume these are the lower receivers? There are seperate tabs for the lower, bolt, carrier and other on the spreadsheet. Good idea. But I think people are going to mess it up. Its going to need a moderator. Or maybe I have no faith in society. I nominate you my friend. 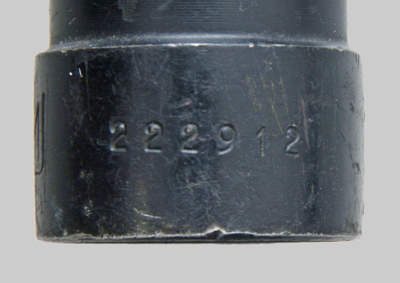 This could be a useful tool and a record of the numbered IMBEL receivers out there. It needs to be managed and not allowed to run amok like the G1 sticky where not everyone understands that only 1000,000 were made and there are parts listed over one hundred thousand and the thread is over a year behind updating. Not sure how go this spread sheet will work? I put my info in the other day and its not on it now? Went to the link and one has to have a google account. I do BTW but not everyone does or will be willing to sign one up. It's a nice attempt though. I don't think this will last either DakTo, The importer imported 150,000 Imbel parts kits into the USA. Plus some of the one's that came out of Rhodesia/Zimbabwe too. The Importer still has about 75,000 Imbel parts kits he's sitting on also so when prices go up again he'll make a killing. I will moderate the spreadsheet. If you all don't think it should be a free-for-all, I can remove public editing and instead enter info myself if members want to PM me what they have. Cool! It looks like Boarslayer15 has the bolt that matches Padrach's carrier. Just curious, are all these from the Entreprise kits? Is this just for the Entreprise kits or do you want to go whole hog and list all the Imbel kits? If so I have a couple kits I bought a while back off the marketplace I could add. Can't hurt to add any numbers out there. Ya never know. It's open to all Imbel parts. Ok I'll add them I know the one lower has a number and I think both have matching BCG's. I added my numbers. The only thing that matches on mine is the color. I was going crosseyed trying to compare numbers so I did some slicing and dicing in Excel looking for matches. I didn't find anything that would help me but, as of this afternoon (Feb. 3rd) there are 4 people who could swap parts. Twistgrip's bolt matches cbr954fz1's carrier. Boarslayer15's bolt matches Podrach's carrier. I can see how it can get complicated to check for matching numbers. I went in and added three columns to the end of each sheet that will automatically report if matching components are found. The cell will show "Yes" if the matching part is found, otherwise the cell is left blank. Hope this helps. Nicely done Dessert Fox! That is a great help. Thanks. Per the suggestion of a fellow member, I consolidated the spreadsheet into a single list. It will be easier to manage and hopefully easier to see matching parts. I have the original spreadsheet format saved if you guys think we should ever go back to that. Let me know what you think. Just added items to the spread sheet. I added my lines at the bottom. To preserve the cell formatting as the rest of the sheet I copied a couple of lines from above. Then just edited my own info into the proper cells. Final step was to go to Tools button and sort on column 'A'. Spread sheet is updated automatically so no worries there. Looks good to me. Quick edit and quick look-up. I just added a couple of matching bolts & carriers and a lower to the list. Can anyone tell me where the # is on a bayonet? The only # I can find is 146 in white numbers right at the base of the blade where the muzzle attaches. Would it help the search and shorten the sheet if there were seperate columns for bolts, carriers, lowers, ect? Looks fine to me. You can sort the list by highlighting column A and then hit "Sort sheet by column A, A to Z" in the Data tab. That's how I made it originally, but another member suggested that we simplify it to one sheet. If we keep the list sorted in order of sequential serial numbers, matching components will show up next to each other on the list. It looks like we have another parts match. Padrach's bolt matches Mx2010's carrier #229395. Thanks for the reply DF looks like it doesn't have a # other than the one that is in paint. I got the magnifier out and didn't see any numbers. How do the matched rows get green? It's done manually. I did one. The rest have probably been done by DF. Color change done by highlighting both rows and formatting with new text color. Keeps asking for a google password.oh well. That's weird. It should be open for anyone to view. Is anyone else having problems accessing the spreadsheet? Added numbers from the two kits I have. I have Coonan numbered receivers on order for both of them. I've some kits. Here are the numbers, since it's less bother to post them here than to keep up with the chart moving about on me. Are the lowers marked under the horizontal take down latch? I can't seem to find any serials numbers anywhere else on it. Ask the mods to make this a sticky...? On Imbel lowers, the serial number will be on the right side. It will be very apparent if it's numbered. Just remember that many Imbel lowers were never stamped with a serial number. I added your #'s to the list. Just added mine (240573). I would really like to know the year it was made. It was a parts kit from Entreprise. Just updated the spreadsheet this afternoon with the items included in my Entreprise parts kit... looks like matching things up is rather a long shot. Added my numbers from an Imbel kit I got on GB. I don't want to trade my lower because I'm having a custom numbered Coonan upper made. Hello the camp! Added three each, bolt and carrier, no matches but my dog still likes me. I'm not saying there should be capital punishment for stupidity, but why don't we remove the safety labels and let the problem solve itself? Imbel lower receiver serial #s are always on the driver side and horizontal. AFAIK no barrels were #'d. I have carrier #224376 that matches your bolt. Let me know if you want to work out a trade. PM sent.